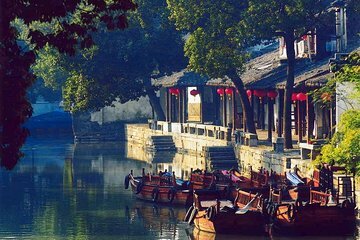 Step out of the modern world and into ancient watery landscapes on this private tour of Tongli Town with personal translator/guide. Relax as your private vehicle collects you from your door, then learn about the town’s rich history as you stroll ancient bridges, visit historic Tuisi Garden, feast on a local lunch, and cruise sleepy canals. Throughout, you can say goodbye to language hassles and simply enjoy the ride.